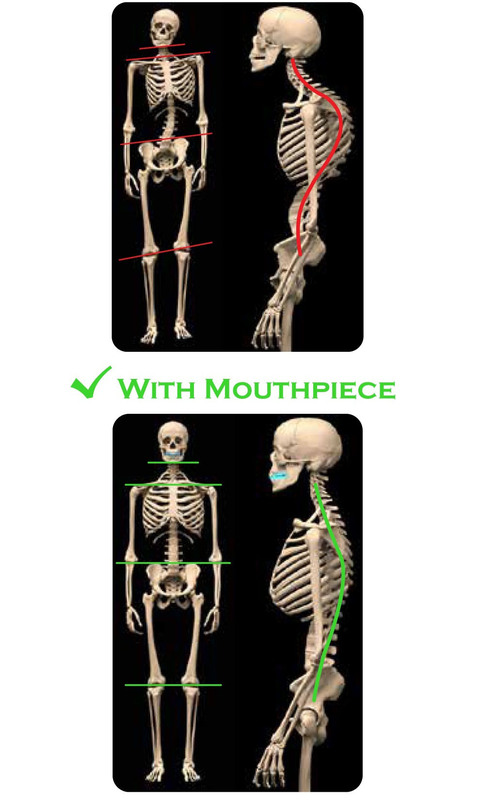 Most people think "really....how’s this mouthware going to help my performance?” It’s actually quite simple, body alignment stems from your jaw positioning and it affects your body in a top down process, so if your jaw is even slightly out of alignment then so are your shoulders, your hips, your knees, you entire body. 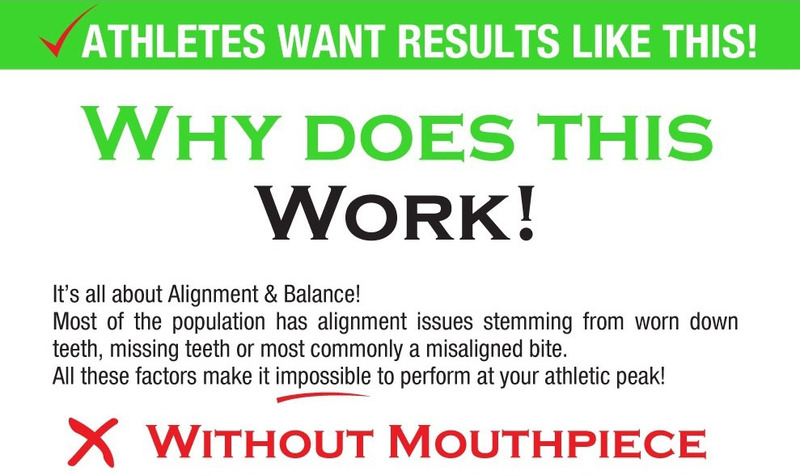 Many people may say "I have been performing just fine up until now and don't think I need any extra help!" 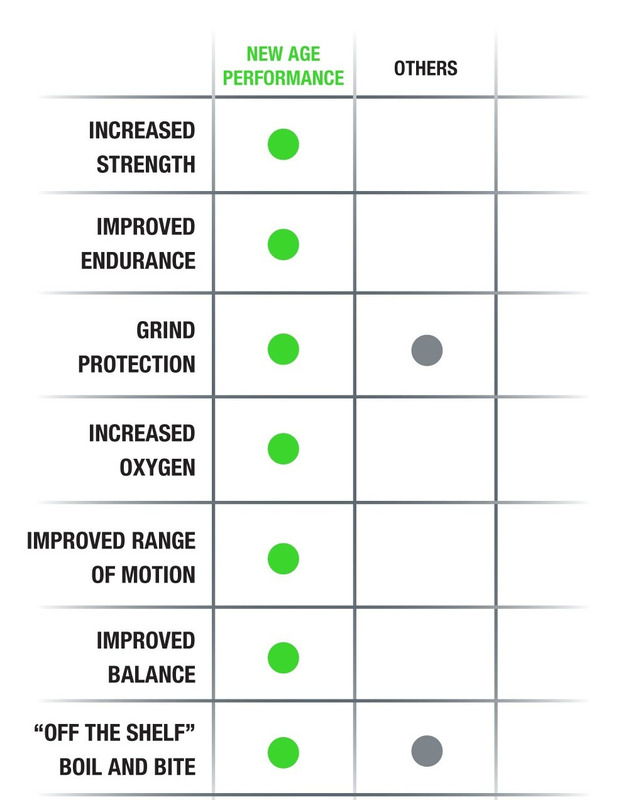 To be honest, you are absolutely correct....if you haven’t experienced optimum body alignment , then in truth you haven’t really experienced all of the maximum performance your body is capable of and that’s why you don't have any point of comparison. At least not until you try New Age Mouthware. 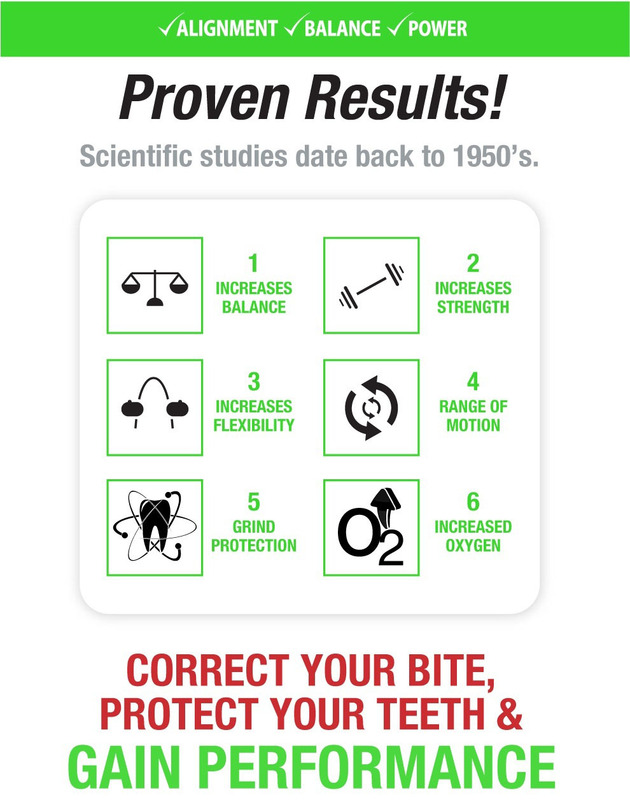 The reality is most of the population has alignment issues stemming from a wealth of things like worn down and, missing teeth (from grinding or other causes) , or the most common cause is a misaligned bite. 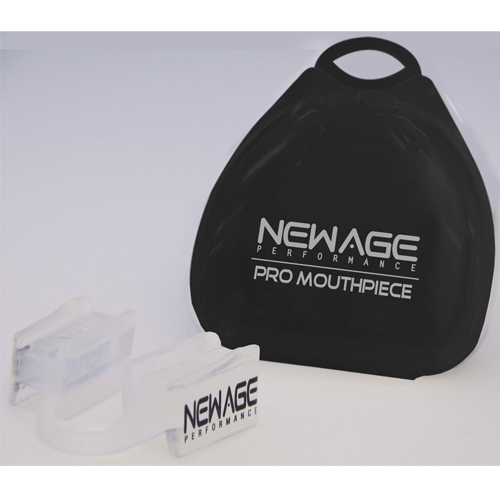 New Age Mouthware will align up to 6 dimensions of your jaw, putting your whole body in its optimum aligned position, well balanced while also keeping your facial muscles relaxed therefore allowing your muscles to function at their maximum to accomplish your tasks at hand! 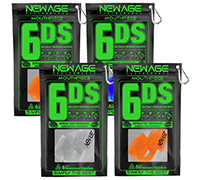 But at the end of the day, you don't need to take our word for it, watch the video and check out our feedback from our many customers so far on Facebook and Instagram and with our money back guarantee, you have nothing to lose? 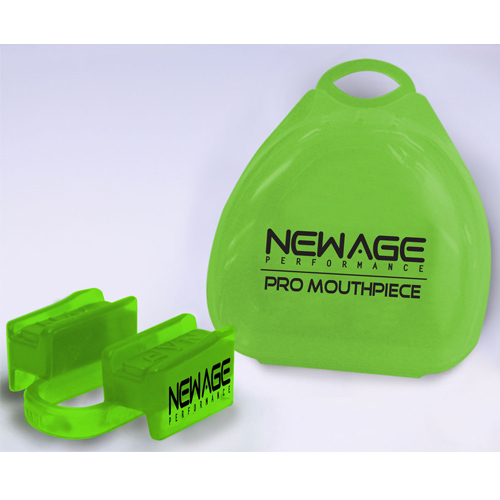 NON-CONTACT PRO 6DS Mouthpiece comes with a FREE clam shell case and mini carabineer! 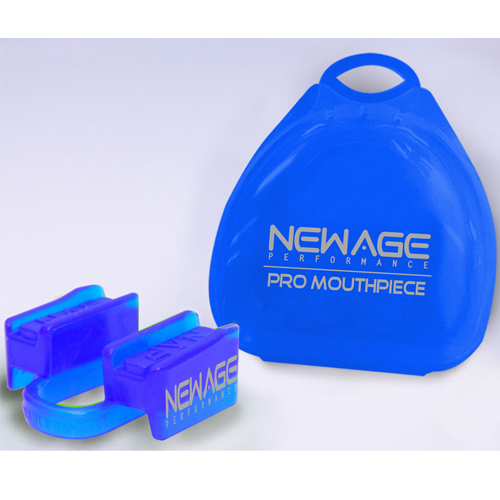 Designed to stabilize the 6 dimensions of your jaw providing results that will amaze you.